Mid-length black jersey draped dress, short asymmetrical draped sleeves, pleated details at the shoulders with adjustable cord and tone-on-tone tassel detail, V-neck and V-back, fitted waist, and invisible zippered closure on the left side. This black mid-length dress stands out for the exceptional craftsmanship of its draping, and pays tribute to Lanvin’s historical codes. Grosgrain ribbons, tassels and an asymmetrical cut enhance this piece and add refinement. 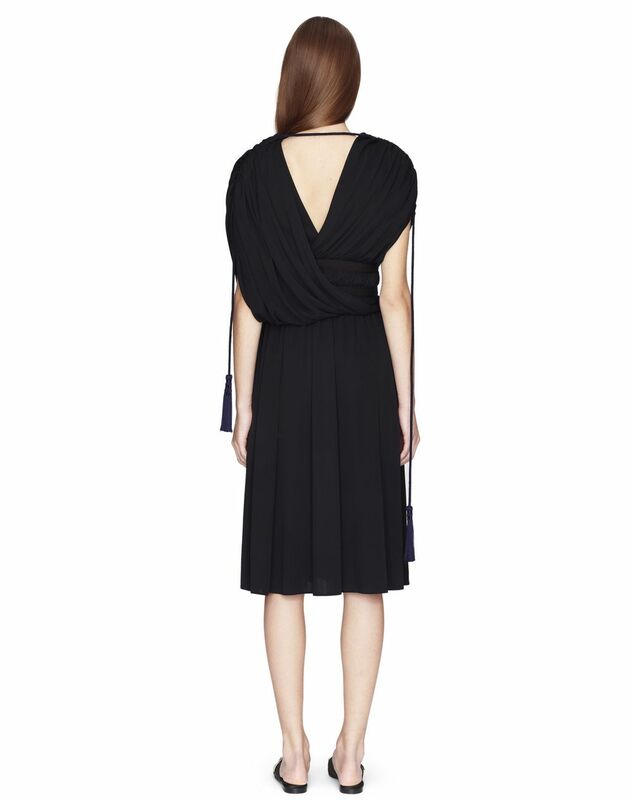 This draped dress will beautifully highlight the neckline and reveal a bare back with elegance.